Tulips, daffodils and asparagus, those are the first spears of green that poke their heads out of the cold earth after a long, grey winter. 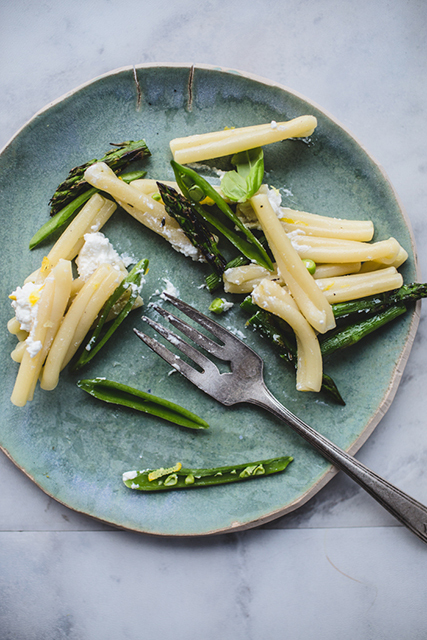 Asparagus is one of my all-time favourite treats that start a new season in the garden. 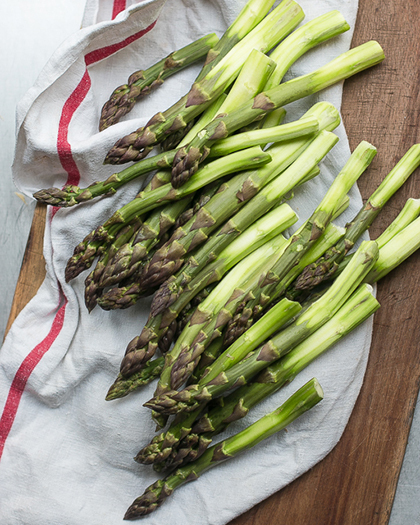 Niagara farmers, Sue and Frank Pohorly let me walk through their asparagus patch and pick the tallest, most slender spears and eat them raw, straight from the earth. It reminds me of eating red licorice as I walk around in pursuit of my next pick. 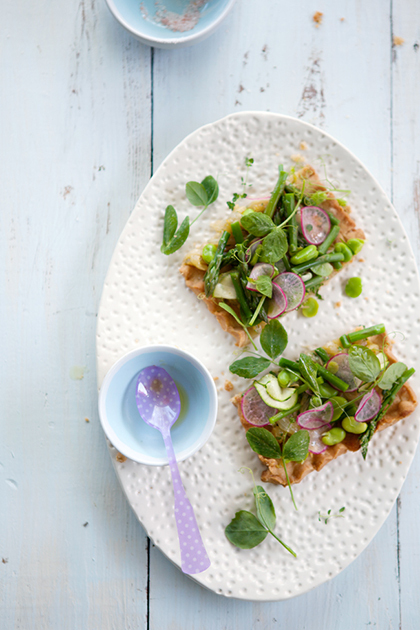 But instead of eating something artificial with tons of sugar and no satisfaction value, these are crunchy, bright with exciting flavours of the sweetest sweet pea you’ve ever eaten. 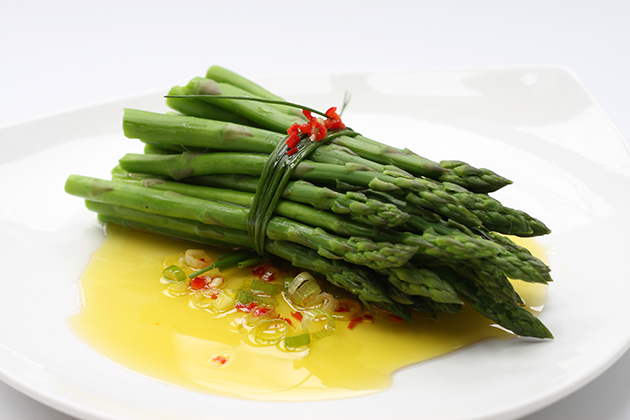 Yea, asparagus is a food that is alive with the ability to excite the most tired, winter palate. 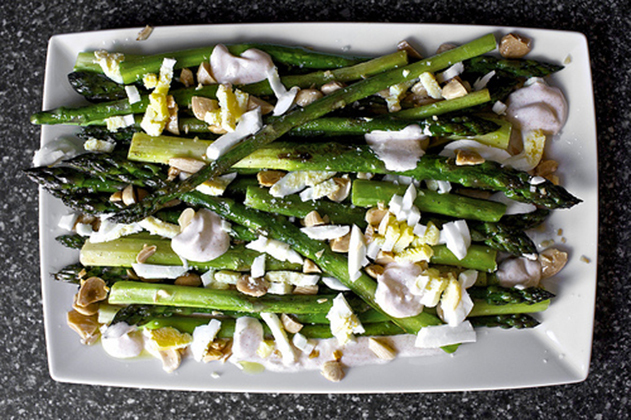 Here are 10 different ways I’ve found to enjoy asparagus season in the most glorious way. Thick Belgium Waffles, Bourbon Sweet Potatoes, Corn Pudding, Shaker Lemon Pie, Hot Browns, and Lemon Soufflé Pancakes, these are the flavours Kentucky proudly wears. Taste of Belgium: A great place to eat is this trendy eatery on Vine Street in the Over-the-Rhine historic district in downtown Cincinnati. Owner Jean-Francois Flechet is a transplanted Belgium who did the only thing he knew how to do – he made waffles. He started in the back of a produce store. That was a short time ago and now he owns a few Taste of Belgium restaurants with a really funky cuisine that blends American culinary expectations with Belgium delicacies. I’ve never seen escargot and corn dogs on the same menu of any diner before. 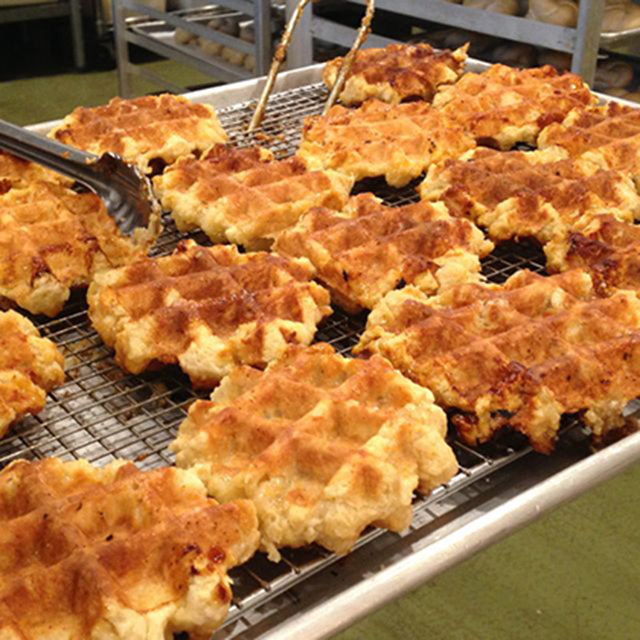 The Belgium waffles are super thick and have a sweetish invisible coating that makes them crunchy, dense and delicious. The McWaffle is a stacked waffle with egg, bacon, Gruyere cheese and maple syrup. On the sweeter side, you may want to sink your teeth into a Belgian Chocolate and Cream waffle. Jean-Francois was even featured in Diners, Dine-In’s and Dives. Order Belgium waffles on-line, they ship all over. 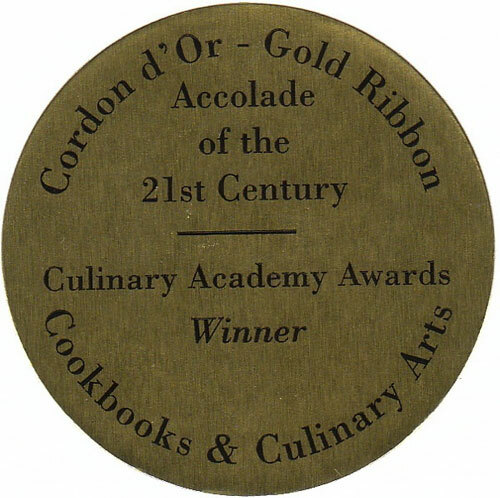 Wild Thyme Cooking: It’s a cooking school, catering business and culinary retail store. 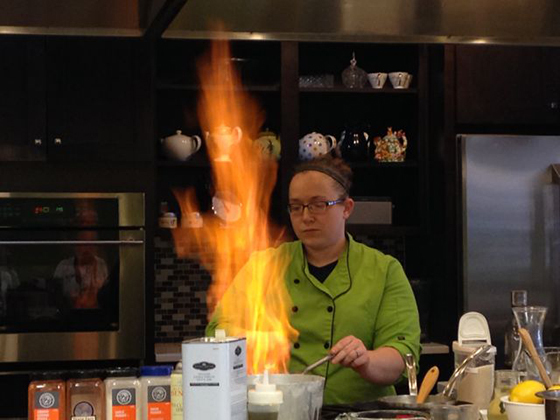 I went to a cooking demonstration all about Bourbon and Beer. Chef and owner Allison Davis has a loose hand when it comes to bourbon. She begins a class by spilling a little in the Bloody Mary’s and more into a beer cheese dip, there was bourbon soaked pork, bourbon sour cream, bourbon soaked coffee beans and bourbon bread pudding but my favourite by far was the bourbon sweet potatoes. Mashed sweet potatoes caressed with lots of butter and plastered with a few gulps of bourbon. The caramel, butterscotch and vanilla flavours of the bourbon really built on the buttery, sweet potatoes – yum! The entire team at Wild Thyme is crazy about local foods of the region and their cooking classes are an education on culinary culture, foods found locally and Kentucky proud products. If you’re in Lexington, Kentucky check them out for an afternoon or evening full of delicious fun. Here’s a great recipe for Bourbon Sweet Potatoes. Pleasant Hill Shaker Village: It’s not so much a step into yesterday as it is an awakening to a culture that was ahead of its time. Visit and be charmed by the generous, gently, open minded people who lived on 3,000 acres that is now a beautiful National Historic Landmark and peaceful sanctuary. Dine at The Trustee’s Table for the best Kentucky Fried Chicken and other dishes of yesterday like corn pudding and Shaker lemon pie. The corn pudding is a casserole of fresh corn kernels topped with a mixture of flour, butter, eggs and milk. It’s baked slowly and is so delicious that everyone at our table requested seconds – yum! 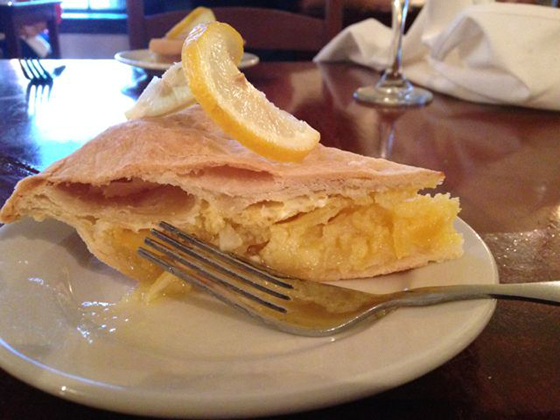 Have to mention the Shaker Lemon Pie with its thin slices of marinated lemon on the bottom of a lemony custard middle. The double-crusted pie has an eclectic texture from the creamy custard and soft slices of lemon still in their rind. Sweet and tangy, bright and buttery, it’s just simply delicious. Here’s a recipe for corn pudding and Shaker Lemon Pie for you to try. 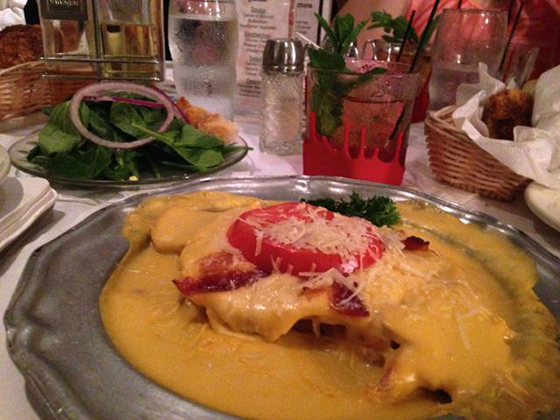 Kurtz Restaurant and the Brown Hotel: You just can’t go to Louisville, Kentucky without trying a Hot Brown. An open-faced sandwich with chunks of succulent turkey, bacon, ripe tomato, a sprinkling of parmesan cheese and a whole lot of the most delicious cheese sauce ever to touch your lips. Kurtz is a four-generation restaurant that prides itself in producing the same cuisine as the day the Restaurant opened. Here you can find 1960’s food like Congealed Salad (remember the Jell-o your mom put vegetables into? No? Pity.) The Hot Brown was invented by the Brown Hotel in downtown Louisville and they also pride themselves in making it the same way as it always has been. 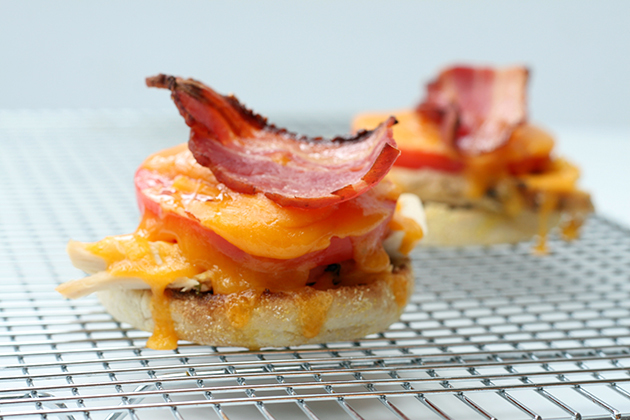 There’s a Hot Brown Hop in Louisville so you can try how other chefs make their Hot Browns. Here’s a really great recipe for a Hot Brown if you want to make it yourself, just remember, be generous with the sauce. 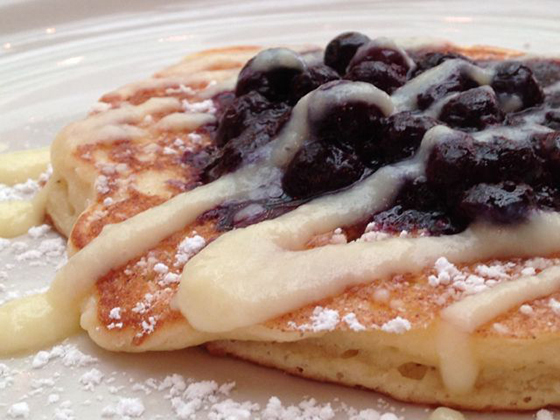 Toast on Market: Owner George Morris admits if he ever took the Lemon Soufflé Pancakes off the menu there would be a riot. Wow, airy like the wings of an angel, lemony light with just a kiss of sweetness from the dusting of icing sugar, they almost melt in your mouth. Mom never made pancakes like these before. The recipe was hard to pry from Morris. I guess everyone asks but he never gives. This is what I got, he says they started with a modified lemon ricotta pancake, then separated the eggs and whipped the whites into fluffy peaks. Then he zests and juices 9 lemons. 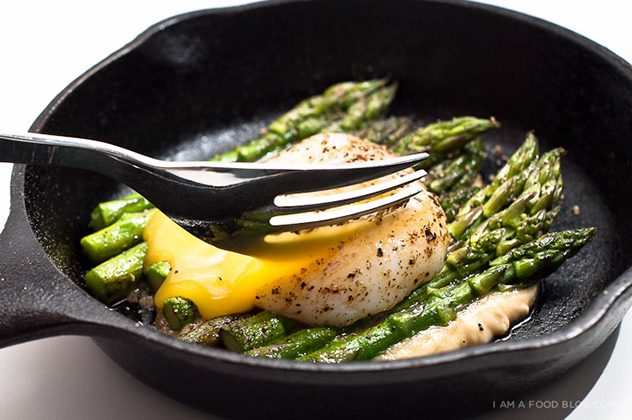 He tops it with a vanilla sauce that elevates the flavours on the palate to nothing short of pure bliss. Other dishes to try are the BLT Scramble and the Breakfast Burger. Whatever you do, wash it all down with the Kentucky Mimosa loaded with bourbon. Here’s a recipe to try. 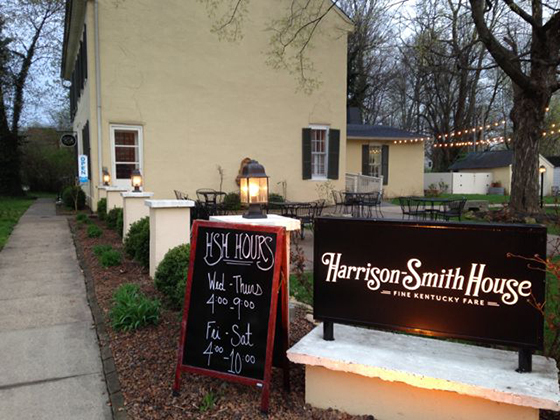 In the state that perfected fried chicken, the best Kentucky Fried Chicken I sunk my teeth into was at Harrison-Smith House in Bardstown, Kentucky. Get there on Wednesday, it’s the special. Their comforting, buttermilk crunchy crust gives way to juicy, tender chicken underneath. A word of caution however, your portion includes one leg, one thigh and one huge breast – enough to feed two! It’s served on a bed of sautéed mustard greens and mashed potatoes – yum, yum, yum….. 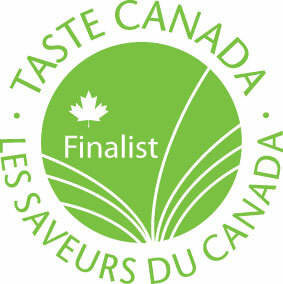 I want to thank the great folks at Kentucky Tourism and Access Travel for helping me discover the flavours of Kentucky. Contrary to what some may think, it doesn’t take a kitchenfull of ingredients to make a great meal. In fact, you can put a really delicious meal on the table anytime and for any occasion with just five ingredients or less; what a relief that is for busy people. Five ingredient meals mean you don’t have to stock up on foods you’ll never use again, nor will you be using anything more complicated than a sharp knife and sturdy cutting board. Five ingredient meals mean you probably already have some of the ingredients in your kitchen. In a well-stocked pantry you’re likely to find a bottle or two of cooking oil, a few packages of pasta and a jar or two of tomato sauce; a pound of butter, a quart of milk and a dozen eggs in the refrigerator and a bag of frozen vegetables, a steak or two, and maybe even a box of phyllo dough in the freezer. Five ingredient meals mean you can take advantage of artisanal products like bottles of vinaigrette, jars of preserves and bottles of sauces. Many of these can be found at farmers’ markets, specialty food stores and even grocery stores. You can even stock frozen pizza dough and piecrusts in your freezer to make five-ingredient meals faster as well as easier. When you’re working with a limited number of ingredients, quality becomes important because the flavour of each ingredient becomes stronger. This is where fresh fruits and vegetables in season and local greenhouse produce triumphs imported. While I do expect everyone to season these recipes with a bit of salt, I don’t count seasonings, oil, water, salt or pepper as an ingredient. And remember, you can always add more ingredients and make these recipes truly your own. Let’s get real; the best way to save time in the kitchen is to reduce the number of ingredients in each recipe. Here are 10 five-ingredient suggestions that prove the point. When the cold has you huddled inside, plan on a relaxing winter in front of a roaring fire by simplifying your kitchen time with these five ingredient meals. Garlicky Grilled Cheese: Sometimes all it takes is a bit of creativity and not a degree in food science to put garlic bread together with cheese and a hot skillet. 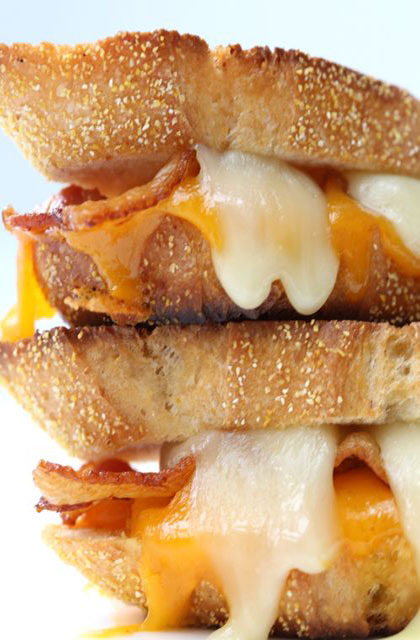 Loaves of store bought garlic bread add more flavour to grilled cheese sandwiches. This three-ingredient lunch includes garlic bread, slices of your favourite cheese and soft butter, grill like you would grilled cheese and you’re done! Mushroom Steaks: Dinner doesn’t have to be elaborate, just delicious. And of course as easy as sautéed mushrooms spooned over skillet steak and served with seasoned rice. For this you’ll need a cup of rice and a beef bouillon cube. Put the bouillon cube in water and cook the rice according to package directions. Sauté slices of meaty mushrooms in butter while a peppered steak is sizzling on a griddle. How simply delicious is that? You can substitute caramelized onions for the mushrooms if you prefer. 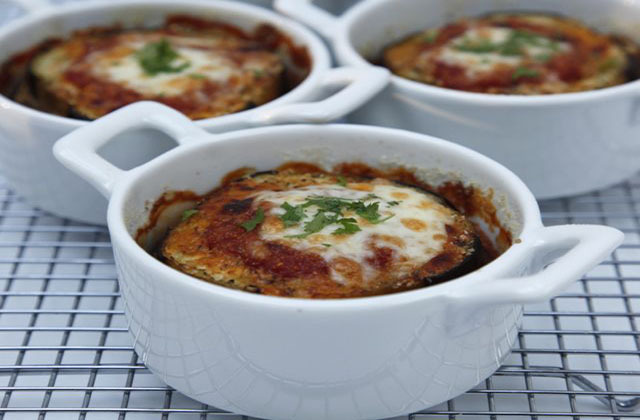 Eggplant Parmesan: In the winter you’ll find me roasting slices of eggplant and red peppers. In the skillet sizzling away will be mounds of spinach with chunks of garlic. Then I pack it away in the refrigerator until I’m ready for a quick meal. 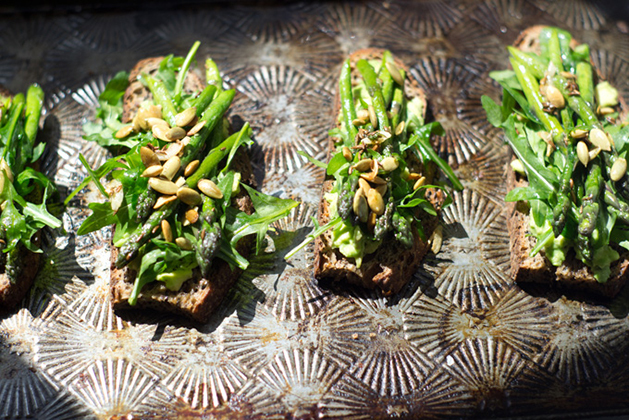 I pile garlicky spinach over a slice of eggplant and top with a few slices of soft red pepper. Then I grate a little Parmesan cheese overtop before popping it into the oven to warm it through. Not only is it quick, simple and delicious, but it’s my favourite five ingredient meal. Aglio e Olio: At least one day a week I make a giant bowl of aglio e olio. That is, pasta with garlic and extra virgin olive oil. If you’ve never had this simple and delicious meal I urge you to try it for your own good (and winter health). Cook your favourite pasta according to package directions. In a small pot, warm minced garlic (an entire head), flavourful extra virgin olive oil (about ½ cup) and hot red chili flakes (to your liking). Don’t let it boil and don’t let the garlic brown. Drain the pasta and toss well with the seasoned oil and a generous grating of Parmesan cheese. 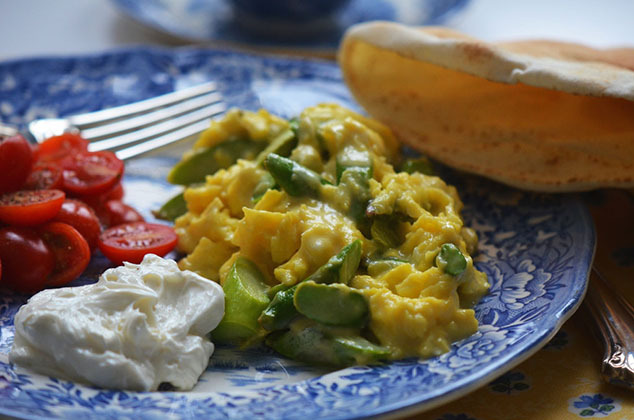 There you have it – deliciousness with just five ingredients. 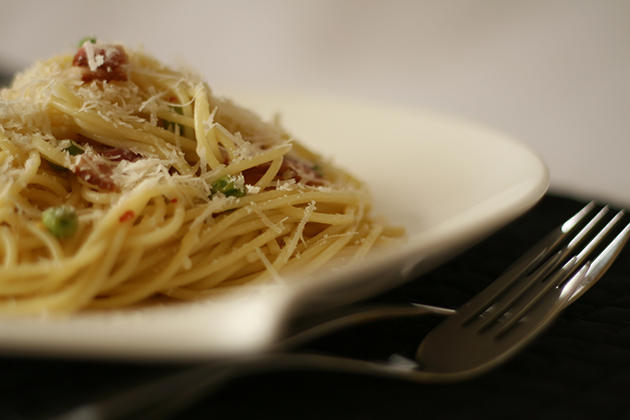 Alternately, Spaghetti Carbonara is typically made with just bacon, eggs, cheese, cream and black pepper. 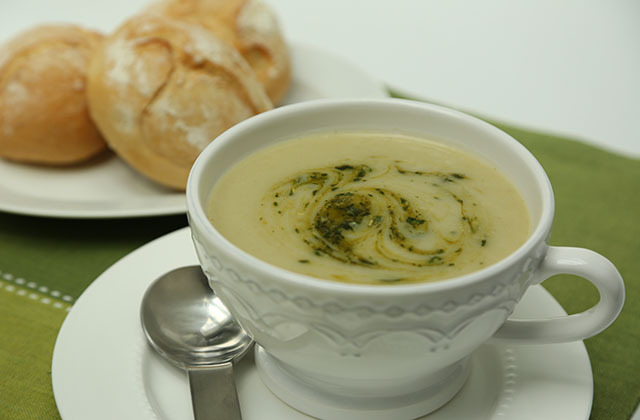 Garlic Soup: My grandmother had a cure for the common winter cold. It goes like this. Simmer about 50 (or more) cloves of peeled, roughly chopped garlic for 10 minutes. While the garlic broth is maturing, toast four thick slices of Italian-style bread. With the garlic broth at a low simmer, poach 4 eggs. Now put a piece of toast into each of four wide, shallow soup bowls. Lay a poached egg on top of each toast and ladle in lots of garlic broth. 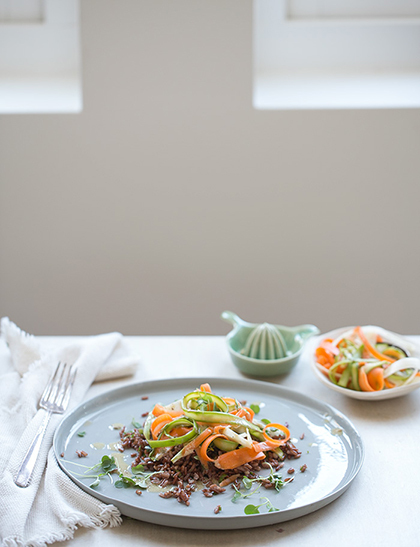 Sprinkle with chopped, fresh parsley and enjoy your new winter health. 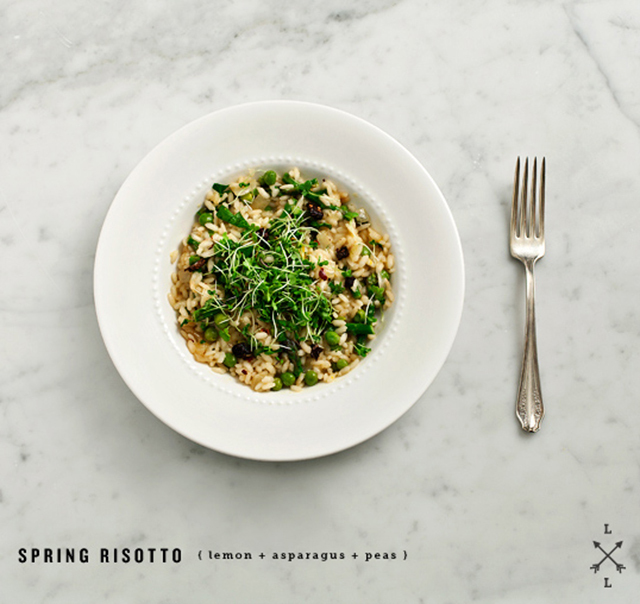 Squash Risotto: This is a classic winter dish sure to warm your soul. Just sauté a chopped onion in a bit of oil until wilted. Add a cup of Arborio rice and stir to coat the rice with pan juices. Add hot chicken broth (abut a litre) and let cook on medium low heat until all of the water has been absorbed. Add as much diced squash as you want, half way through the cooking time. When the water has been absorbed, add a large knob of butter to the risotto and stir well. This is a great winter meal enjoyed with a glass of sparkling wine in front of a roaring fire. Roasted Ribs: So who doesn’t love the carnivorous eating with your fingers thing? Wrap ribs in foil and roast them low and slow (about 200F for 4 hours). 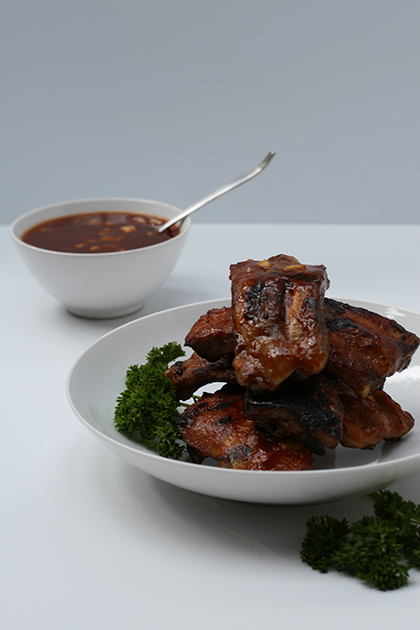 Half an hour before you’re ready to eat, baste generously with your favourite barbecue sauce and roast, uncovered at medium heat until barbecue sauce is real sticky (450F for 30 minutes). While the oven is at a higher heat, add a baking pan full of sliced potatoes. Now enjoy your ribs and roasted fries potatoes. Broccoli and Feta Pie: If you like quiche, you’ll love this make-ahead pie. Line a spring form pan with buttered sheets of phyllo (about 3 layers thick). In a bowl, add blanched broccoli florets (about 2 bunches) and crumbled feta (2 pounds). Beat 4 eggs and mix into the broccoli and feta with lots of chopped parsley. Pour into the phyllo-lined spring form pan. Cover with more buttered phyllo sheets and bake at 425F for 45 minutes. Remove it from the spring form pan and let it cool for 15 minutes before cutting. Asian Noodle Bowl: Try your hand at easy Asian with this quick dish. Toss cooked soba noodles (1 package) with as much thin, slices of steak, snow peas and ripped cilantro as you want. Drizzle all over with soy sauce and enjoy. The steak should be cooked ahead of time and the snow peas can be warmed with the soba noodles. Wasn’t that easy? Black Bean Quesadillas: These delicious quesadillas are easy to make and the kids will love them. Just baste oil over a tortilla. On the non-basted side, sprinkle evenly with black beans, diced jalapeño peppers and grated pepper Jack cheese. Top with another tortilla, baste with oil and cook like you would a grilled cheese sandwich. They’re so delicious you won’t be able to make them fast enough! 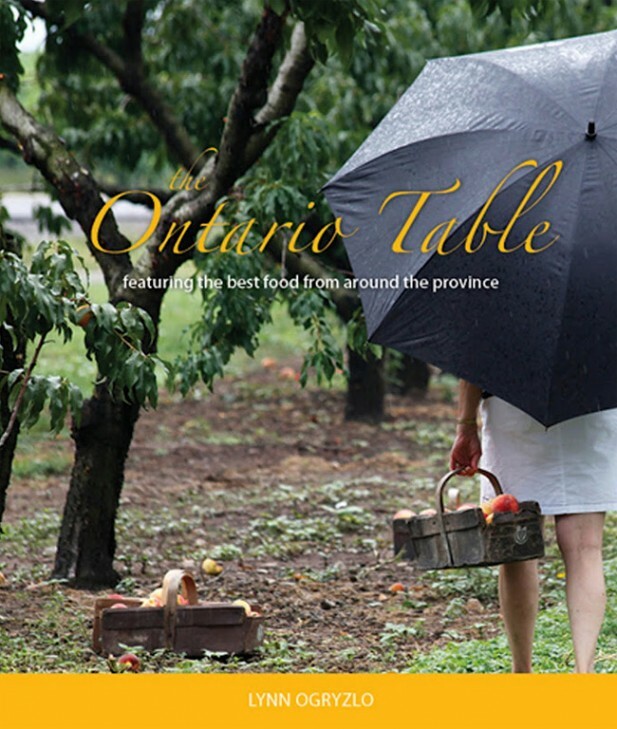 This story first appeared in the winter issue of Today Toronto Magazine. Read more food articles by me here.